Back in October 10 eager runners we’re enjoying pre-dinner drinks in the Hotel Nord, Gerona at the start of the 3-day Chi Running Costa Brava Adventure. During informal introductions the atmosphere was relaxed until we got to Jane. She was clearly feeling nervous and lacking the confidence of the rest of the group, stating that she didn’t know why she had come along as she did not consider herself to be a ‘runner’. The rest of the group quickly rallied around, reassuring her that she would have a great time and that we were all about to experience the joy of running some amazing trails rather than compete to be the best. Jane will admit that she struggled the first day in the 6 mile trail both physically and emotionally but by day two an air of calm and self confidence was apparent. Fast forward six months and today she proudly holds aloft her London Marathon medal. 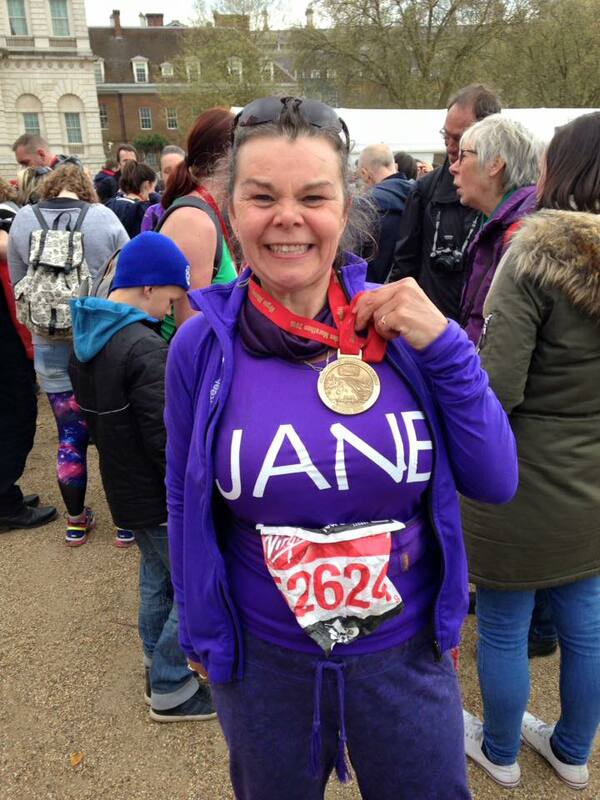 Well done Jane! True determination and dedicated practice helped her achieve her goal.